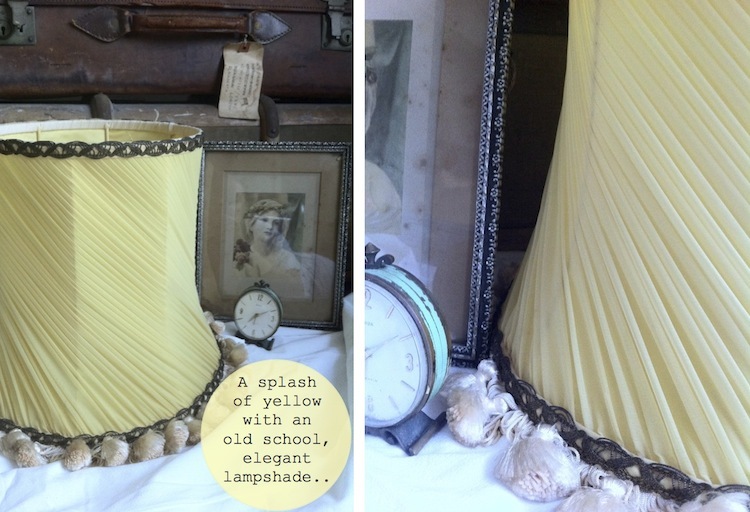 We have a few new additions to The Nostalgia Exchange…it seems it has gone a bit grey and bleak rather quicker than we were expecting so what better way to deal with this disappointment than to add a touch of yellow to brighten up a room – this elegant lampshade we thought could definitely be of service…. 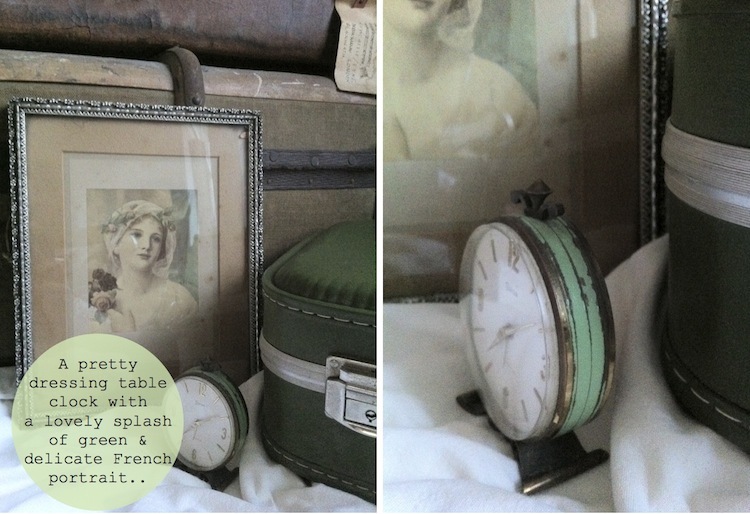 The mornings may be getting darker but this little dressing table clock will be sure to brighten up your start with a lovely placed splash of green …. 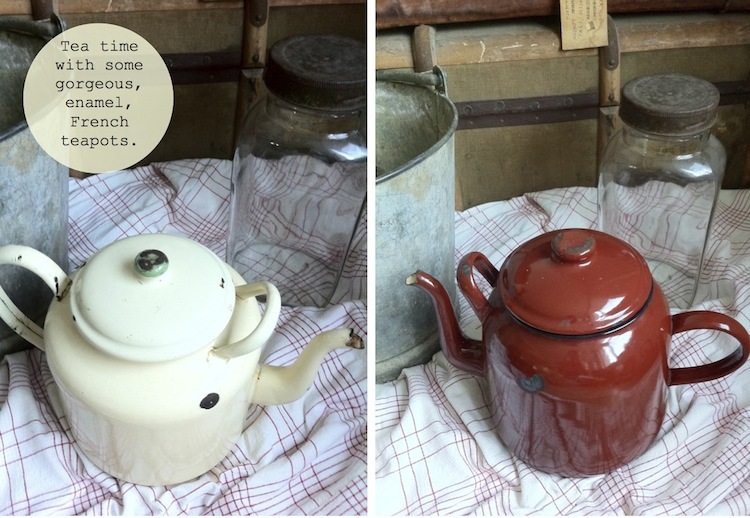 Time for tea and lots of it with these rather lovely, large enamel teapots, I am still not ready to believe that we can’t get one more camping weekend in this year, one of these would be perfect for an endless supply of tea….. 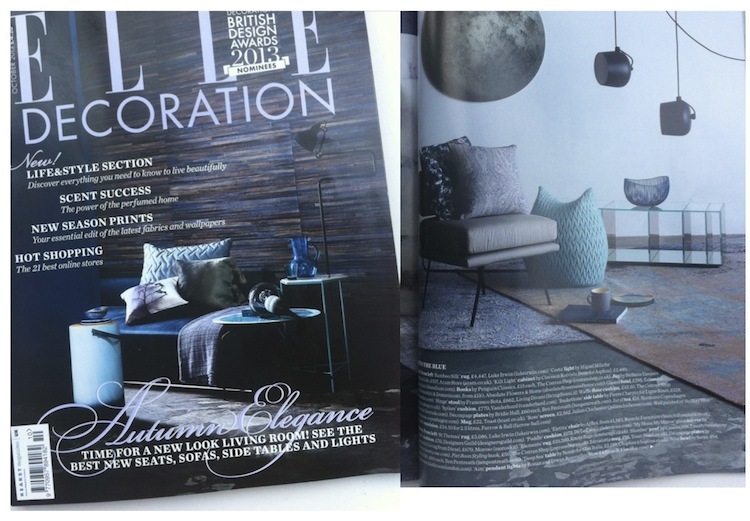 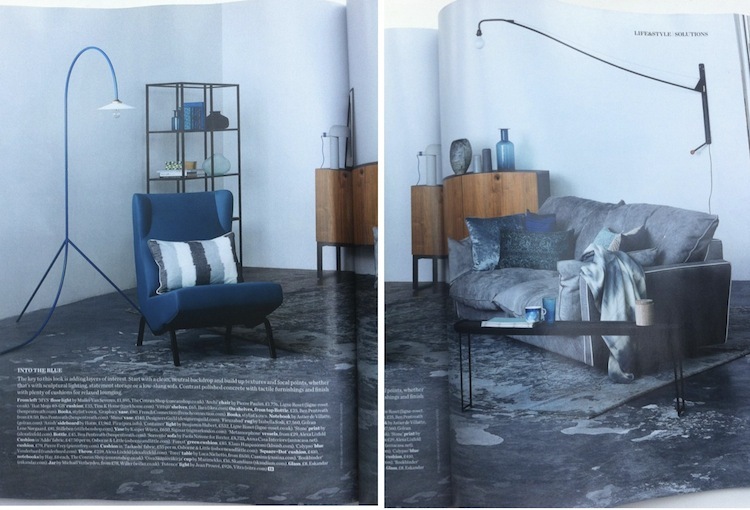 Into the blue this season with Elle Deco’s October issue – they show us how to ‘take our cue from this season’s must-have cue’ and get cosy by layering different shades of blue to create an atmospheric palette, don’t sing the blues embrace those blues …. 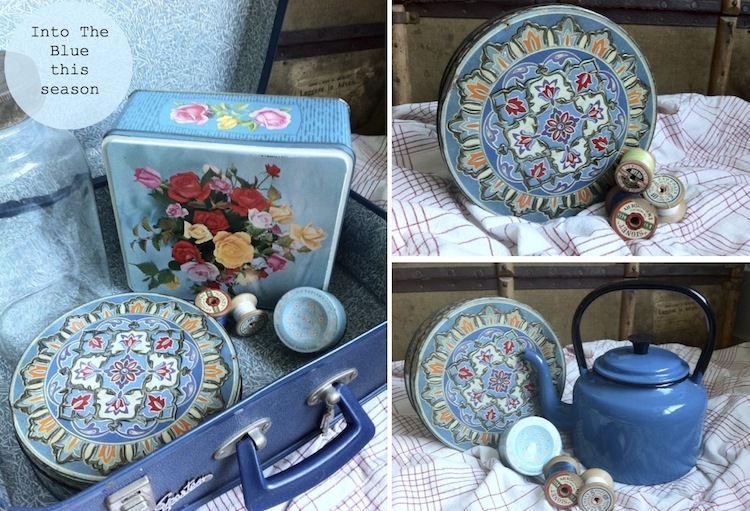 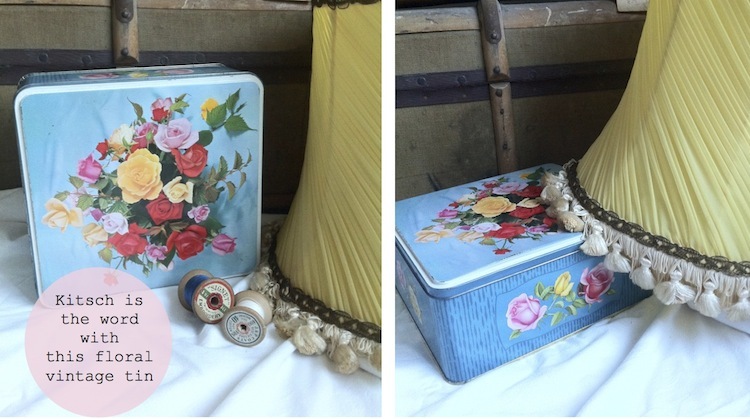 We have embraced this season’s hue with these new additions to The Nostalgia Exchange….